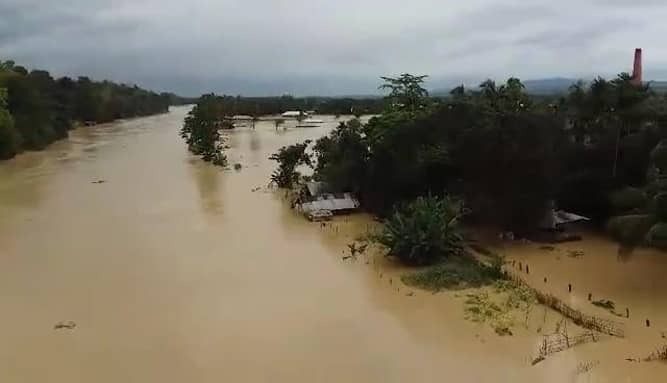 Many low-lying areas of Barkol and Bilaichhari upazilas of Rangamati district went under water following torrential rain and onrush of water from the hills. Besides, water in Kaptai Lake was flowing over the danger level on Wednesday due to the incessant rainfall. Sources at Kaptai Water and Electricity Center said the authorities concerned have opened eight out of 16 gates of the spillway of the dam to release 4500 cusec water to the Karnaphuli River to avoid the danger and to handle the excess water pressure. Meanwhile, the road communication between Chattogram and Rangamati remained suspended since Tuesday morning due to landslides at different points on the road. However, communication on internal routes of Rangamati remained normal.